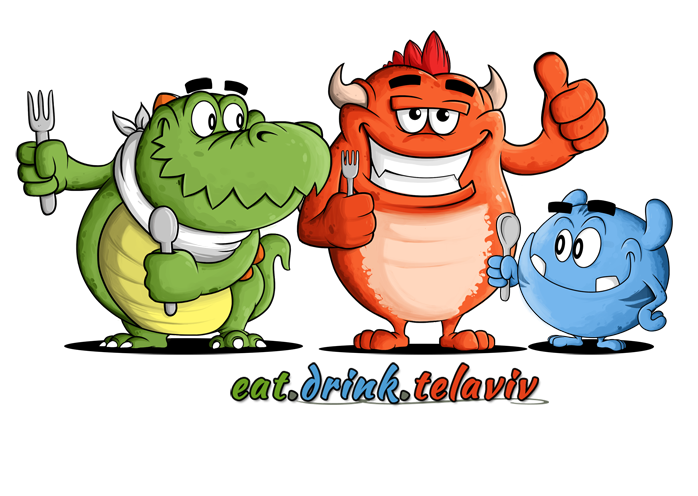 There is no shortage of decent fish restaurants in Tel Aviv. One just needs to head to the Tel Aviv Port (Namal Tel Aviv), the Jaffa Port (Namal Yafo) and there are a bevy of other excellent choices scattered across the city. 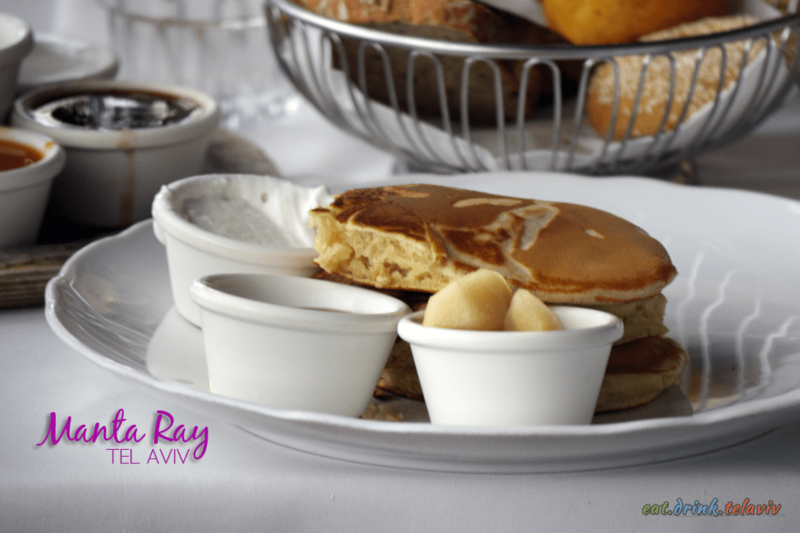 However, Manta Ray Restaurant deserves special mention, as it not only holds mention as an excellent seafood restaurant but on many occasions earned a spot as a top breakfast/brunch restaurant in Tel Aviv. 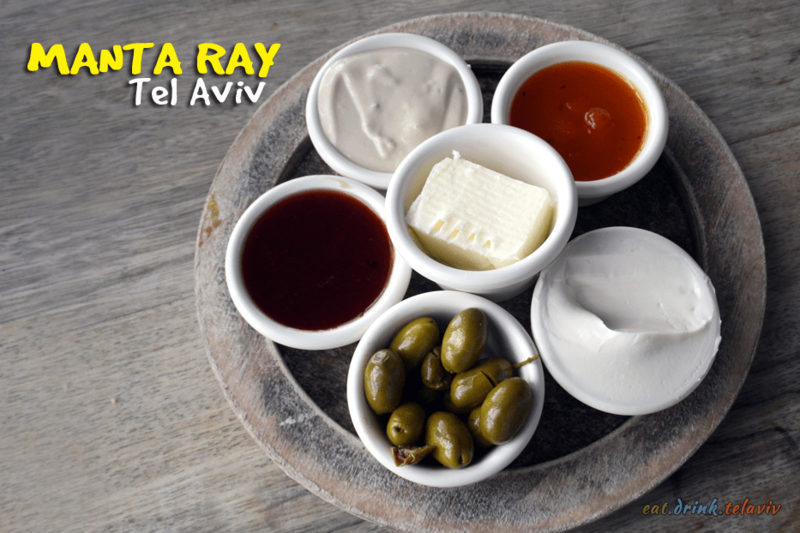 Manta Ray Website Situated at Alma Beach, before you reach Neve Tzedek, Manta Ray offers a casual atmosphere, with their comforting wood interior, wide open space and clear view of the Mediterranean. As the sun sets in the West, and a warm Mediterranean ocean breeze accompanies your dining experience, Manta Ray would be a perfect place to spend an evening. 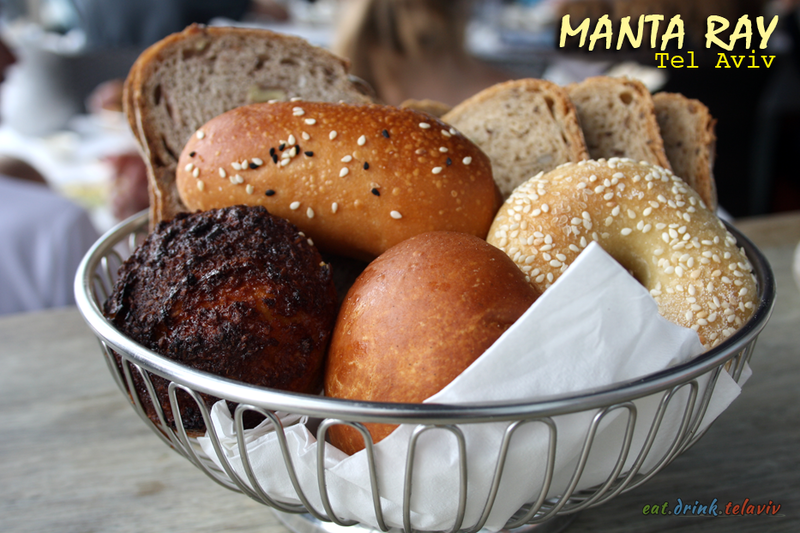 However, for those willing to venture out before noon Manta Ray, Tel Aviv is a perfect beach brunch spot. This, we believe, is how Manta Ray separates from the school of fish restaurants in the city. Brunch by its very nature is special. You eat breakfast, you have dinner. People DO Brunch. And you always need a new place to do brunch. A sure sign that you have chosen the right place to have brunch all starts with their epic Bread Basket, and accompanying dish of spreads and jams. Your brunch journey has just begun. Manta Ray is as unpretentious as far as fish restaurants go, but never delves too far into casual dining like Old Man and the Sea does. 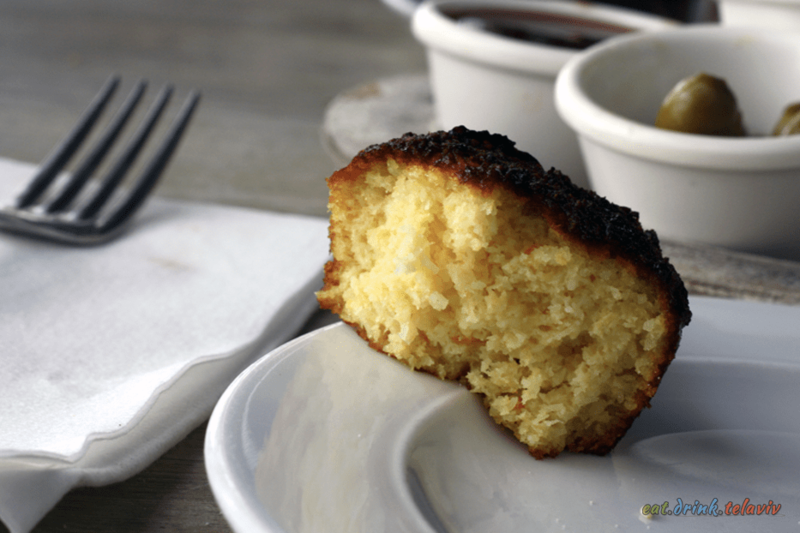 This is reflected in the attentive, friendly service and defined by the higher priced items listed on the menu. Seafood/Meat/Fish dishes for their lunch and dinner menu ranging from 75NIS for the Spring Chicken to 175NIS for the Shrimp, Mussels and Crab sharing platter. 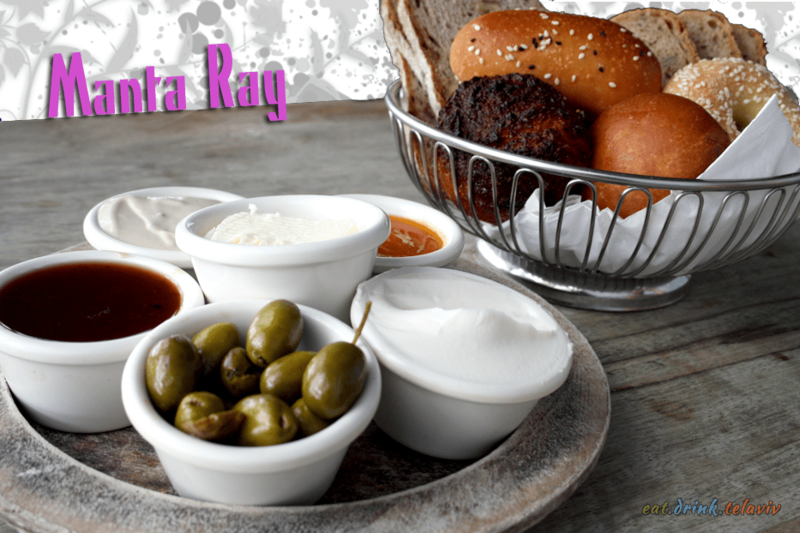 Their breakfast/brunch menu offers a more compact range of 39NIS to 45NIS, with a full Israel breakfast at 63NIS. 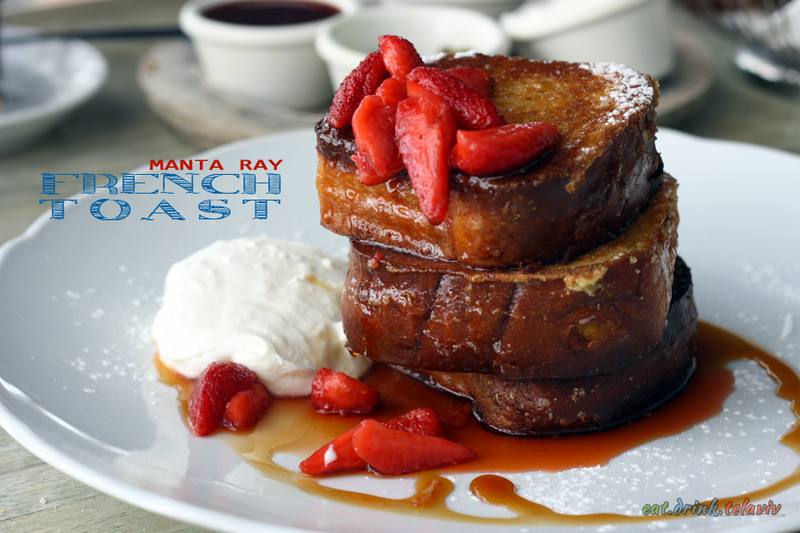 The dishes Manta Ray offers are uncomplicated and satisfying. 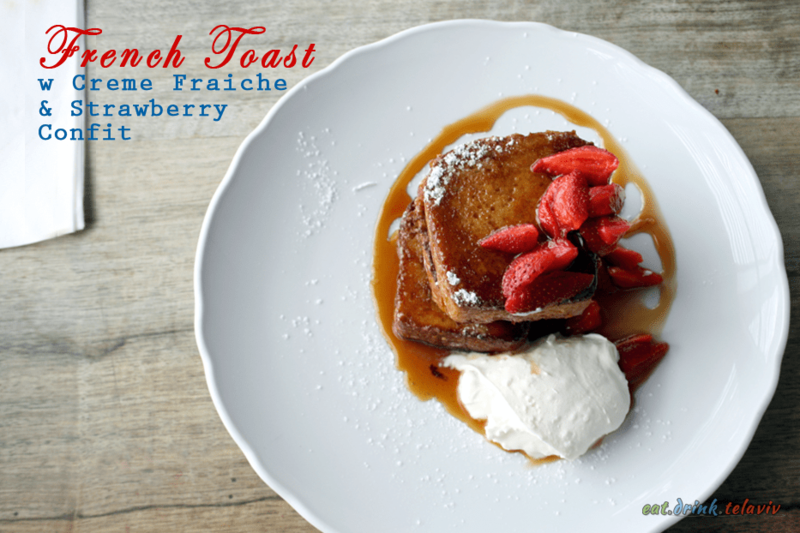 The French Toast with Creme Fraiche and Seasonal Fruit Confit was fried right, with it crispy on the outside and a touch soft and undone on the inside. Our only concern was the use of strawberries clearly past their peak freshness for the confit (I mean does it matter it’s being boiled down? Answer: Yes. It does matter, the confit was sweet but the fruit appeared old.) 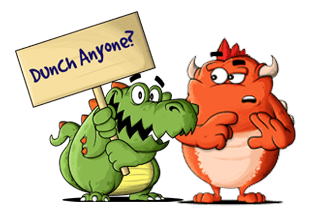 The real winner during Brunch was the highly recommended, and very popular Mr. Crunchy. 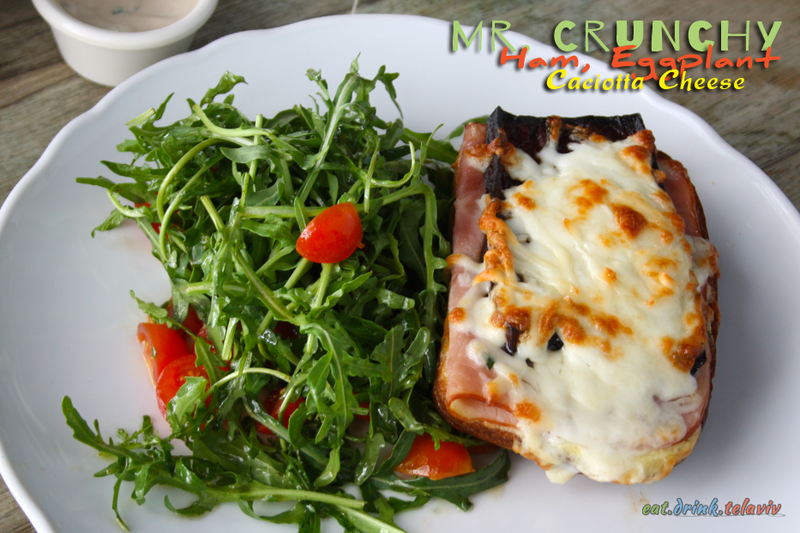 The toasted bread is topped with ham, roasted eggplant and caciotta cheese. 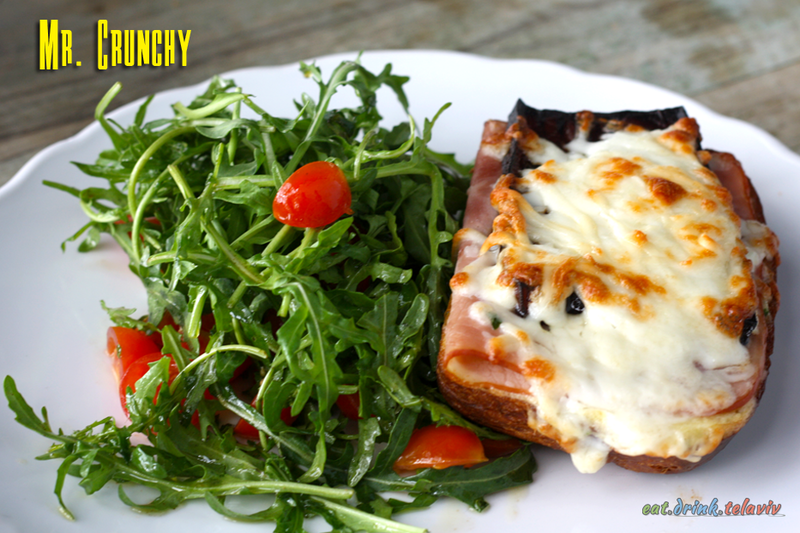 The open-faced sandwich was warm, savoury, and really ups the creativeness on the simple ham & cheese sandwich. And it’s worth mentioning again: The bread basket is filled with such a lovely variety of delectable carbs, with an array of toppings both sweet and smooth, you may get carried away. Manta Ray restaurant is very likely a strong choice for seafood dinner plans. 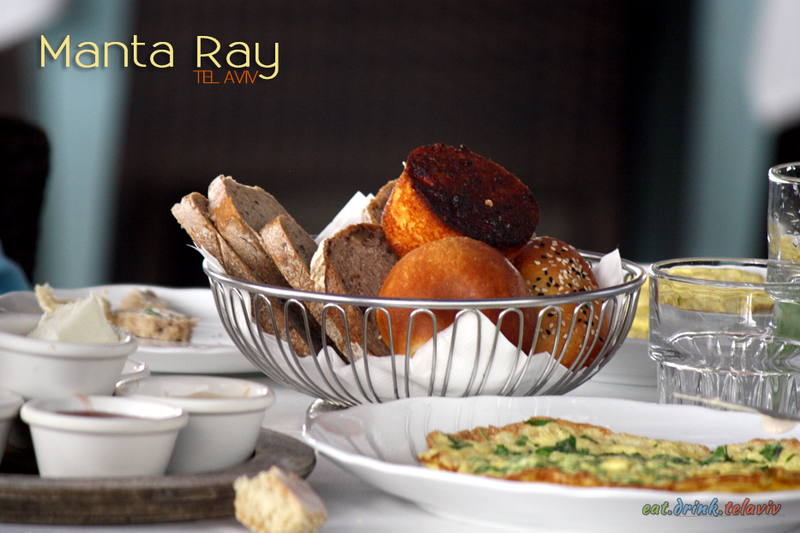 However, on the minds and mouths of many people in Tel Aviv, Manta Ray is an incredible destination to DO Brunch. Brunch is such a beautiful meal. A perfect combination of Breakfast and Lunch. It’s nice to discover new places to do brunch in Tel Aviv. It’s one reason I particularly liked reviewing Manta Ray, it was so pleasantly unexpected, and so very spot on. Who would imagine a fish restaurant as someplace to have brunch? Food was excellent! Service and waitress were not professional. They were terrible. We have traveled a lot and never seen anything like that in places which are gourmet restaurants. Our hotel concierge resevered us a table.. They offered it at the bar. We told that in our hotel… They did not like it. Place was noisy too…and many other people sit on table and then go home because they didn’t get any service or place was too noisy.